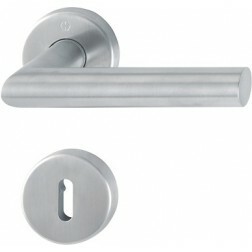 Interior door handle in stainless steel Hoppe Trondheim series on round rose. 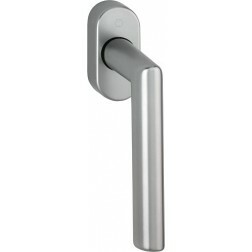 Interior doors handle in brushed steel F69 with return springs reinforced. 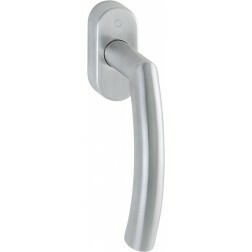 Round design with curved handgrip inward. 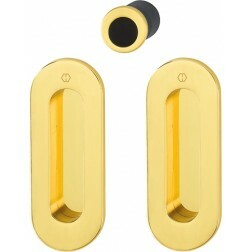 Available with oval hole or Yale hole. 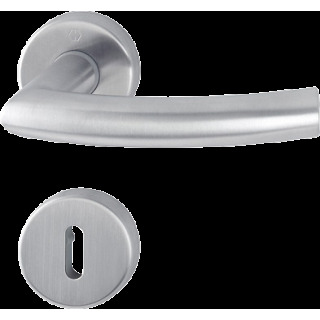 The installation for this model is very simple, due to the use of a new type of connection called quick-fit connection already integrated on the handles. 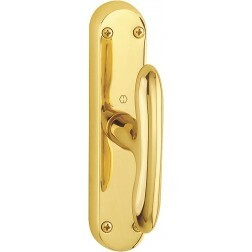 You will receive a pair of handles (one left and one right), rosettes, escutcheons and mounting kit. Find out more of Hoppe Quick-Fit connection!